Home / Best From Quora / Would I Get Fired At Google Or Other Big Tech Companies, If I Get Caught Making Use Of Online References While Coding? Would I Get Fired At Google Or Other Big Tech Companies, If I Get Caught Making Use Of Online References While Coding? Best From Quora - Episode 04. Another big question for another big day guys. 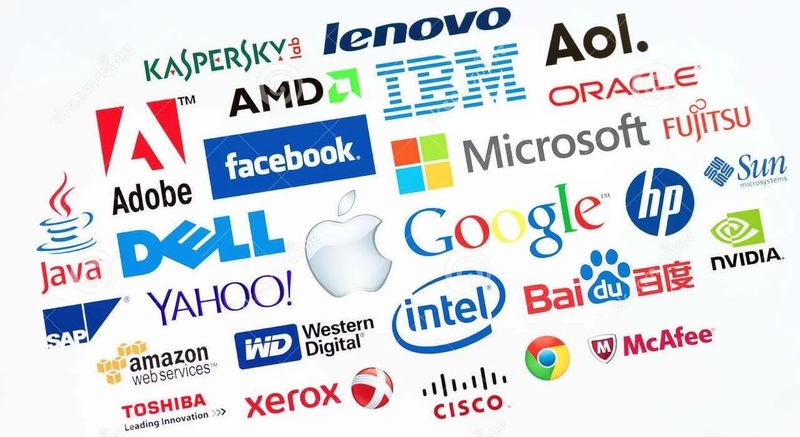 We all know that these big tech companies such as Google, Facebook, Microsoft, Apple and the rest, all have one thing in common. And that thing is, they hold a very big reputation of selecting only the bests from the bests, to work in these companies. Which means that, for you to be worthy of working in one these companies, you must something up there, and your brains must be hot as fire.. who believed all those things i just said now? Well let's find out from Quora.com, and the question says "Would i get fired from any one of these top big tech companies, if i was caught making use of any online references or resources, say a place like Stack Overflow, to solve a given task?". And these are some of the best answers we got from there..
A woman I knew in college said she was asked in an interview about a complex data analysis task. “How would you do this task in Microsoft Excel?” they asked. They hired her and she worked on C code in a UNIX operating system engineering team for several years. Any employer knows that there are way too many details about every software tool or language to keep it in your head all the time. You can keep some in your head if you’re in the middle of a project using it every day. But six months later, it won’t be so fresh in your head, and you will have to use some reference to look it up. More to the point, you’re a bad programmer if you don’t use references. Employers don’t want people who fake it. It’s the mark of a naive developer who “tries everything” as if they can find the right language syntax or program options by a process of elimination and trial and error. It’s a foolish waste of time, and results in bad code. Employers want people who read code as well as write code. They want people who practice coding. They want people who share knowledge. They want people who can seek out information, assimilate it, and put it to use. So it’s a good thing to have the skill of using every available resource to be more productive. TL;DR : Problem solving comes in knowing how to find the answer. The important function of a web developer, or a software engineer (and presumably any other other job) isn’t knowing all the answers - it’s knowing how to find the answers you are looking for to finish a task. You need to get to a point where you are comfortable enough with the terminology, knowing the problem you are facing, and being able to ask the right questions. If my car wasn’t working and blowing blue smoke - I would not know if it was the carburetor, the muffler, the oil, the alternator - in other words I’d have no clue where to start. If I wanted to output a date as a string in SQL Server - I don’t need to memorize the syntax - but I do need to know enough that I’m going to have to CAST a data type. See the difference in knowing the answer and finding the solution ? I don’t know about Google, but I would be reasonably willing to fire someone for not using Stack Overflow as a reference. This isn’t high-school. I don’t care about how you get your job done, I care about the quality of the resulting work. I would be doubtful that anyone could accomplish a professional result without doing research into the existing art. Obviously, if you are including code you don’t understand or to which we don’t have legal rights into the company code-base, that’s a problem, but I specially praise employees who find pre-written samples, libraries, and other time-savers online. So from what they've said above, we can all conclude on one point, which is, it is very advisable for you whether as a software developer, or any other whether computer related, or non computer related profession you find yourself doing, you should always search for references, resources, and help outside your zone, in order to get the job done. And looking for references does not mean in case of computer related, does not mean you should copy word for word, someone else's code, no, it means reading up and carefully analyzing whatever that person has written down, picking up the needed ideas from there, then working with those ideas in your own style. And that brings us to the end of today's section of Best From Quora - Episode 4, in case you have any suggestions to make concerning this topic, please make sure to use the comments box below, and we will reply you as soon as possible. Don't forget to keep sharing, and Subscribe to our newsletter if you have not done so.